Looks like you are a true Roman. You may be right, but what about my earliest match namely Dalmatia 1600BC...Italic invasions across the Adriatic? 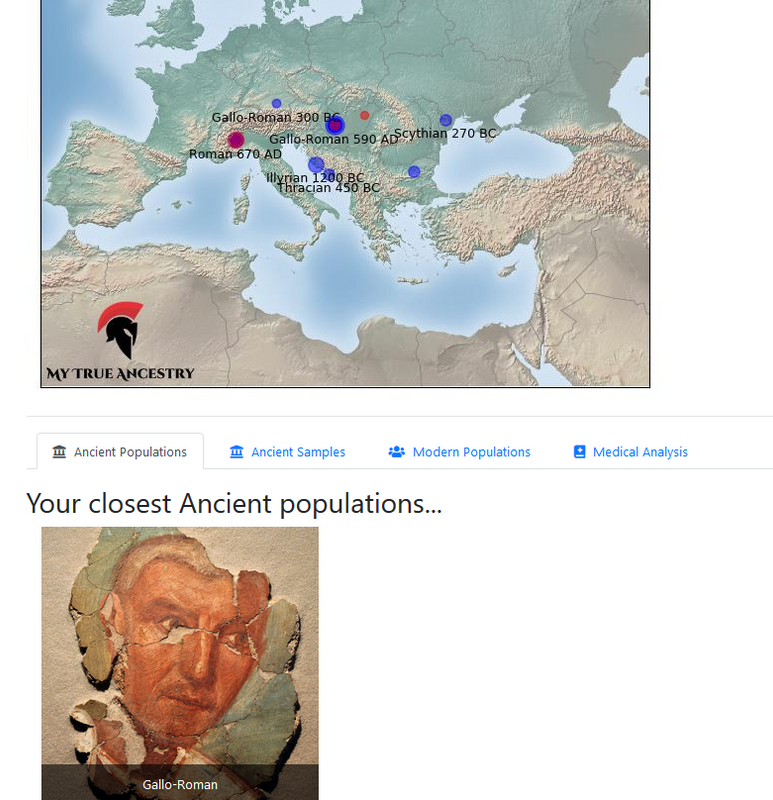 My 3 ancient populations are Romans, Thracians and Illyrians. Last edited by Cascio; 04-14-2019 at 11:00 AM. My map is similar to yours but without the Gallo-Roman samples in my case. Also my Roman 670AD in NW Italy is in blue while your's is in red. The Illyrian, Thracian and Scythian samples are the same on our respective maps. Last edited by Cascio; 04-14-2019 at 11:08 AM. You may be right, but what about the Dalmatia 1600BC match...Italic invasions across the Adriatic? Probably or the simple fact that Dalmatia has belonged to Italic and Italic like people for a very long time. Keep in mind that this is way before the Slavic arrival. The illyrians and Proto-Balkan people were more similar to Italians than modern day populations in that area. Did not detect his 25% North Scandinavian. Last edited by Sizzles; 04-14-2019 at 02:59 PM. Last edited by bejewelled; 04-15-2019 at 03:16 PM. what does the blue or red circles indicate ?